Are you interested in old books about ants? 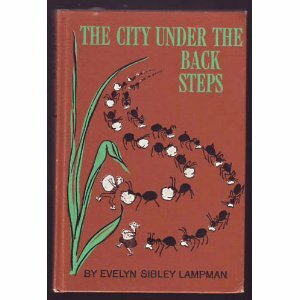 The City Under the Back Steps by Evelyn Sibley Lampman and illustrated by Honore Valintcourt is a children’s book about ants that was published in 1960. It is out of print, but you can buy a used copy (if you don’t mind paying quite a bit of money). The reason it is expensive is that it is actually a very good book. The premise of the story is a boy and a girl are shrunken to the size of ants. Suddenly their back yard becomes a terrifying jungle full of dangers and wonders. They are taken underground into an ants’ nest where they meet the ants’ pet cricket, learn about the life cycles of ants and have a number of adventures. Think of the movie Honey I Shrunk the Kids with a much more accurate representation of the life of the ants. Thanks to my friend Robyn, I was able to listen to the book on CD. She had discovered that Chinaberry has set of CDs for $19.95. Edit: Sorry, no longer available. If you like stories that mix sweeping imagination with a great deal of detailed natural history, then you just might want to give it a try. Note: I have an affiliation with Amazon. If you click through this link and buy a book or CD, I will receive a small commission. I have no affiliation with Chinaberry. In another domain I reviewed a children’s book that I realized people might be interested in here. It a great beginning reader called Ants by Melissa Stewart. Unlike some children’s books about ants, all the information appears current and accurate. In the margins are extremely silly riddles and puns, sure to catch the interest of young children. 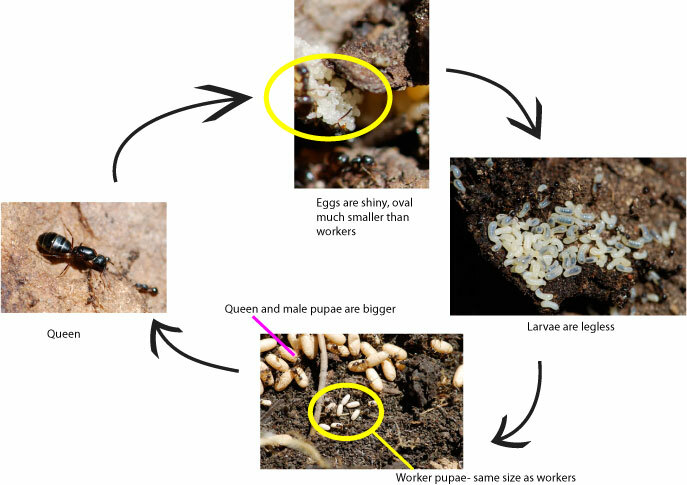 Most of the different kinds of ants are identified, but the names aren’t central to the text. 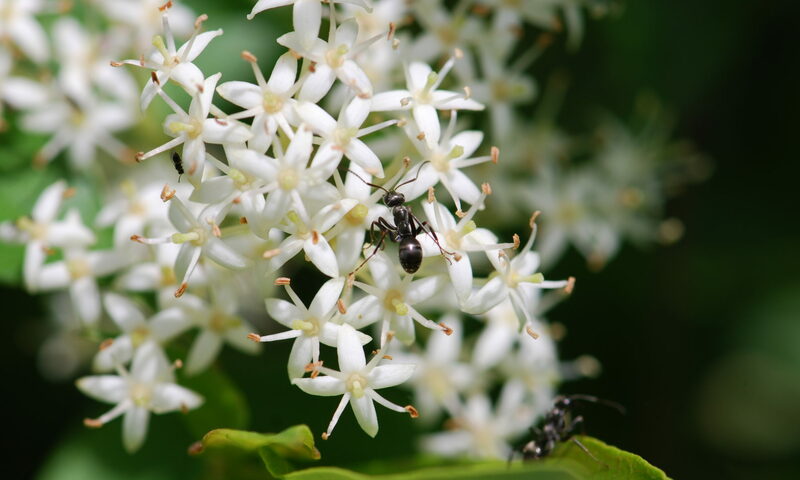 If the child is curious about the ants in the photograph, he or she can find out what kind of ant it is. Ants is part of the National Geographic Readers series. That means the lucky author has access to the fantastic photographs available in the National Geographic archives. Right away I recognized a couple of photographs by ant specialist and National Geographic photographer, Dr. Mark Moffett. What a visual treat! If you know a child interested in nature and/or science, you might want to consider picking up this book.